As I said before, the school system needs to change. We need new methods of learning and education that are faster, more effective and longer lasting. Children need to keep their natural love of learning for life. It should not be kicked out off them with their first year of schooling. Something needs to change. Experiments with new learning methods are a must. 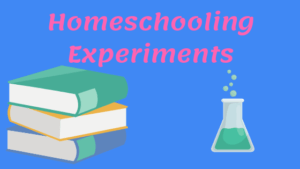 That is why I decided to utilize my homeschooling time to experiment with multiple education methods. With each method, I observe how the children react to it and how much information they retain in the long term. There are basically three methods of education I have being experimenting with recently: integrated learning, casual discussion, and unschooling. I got the idea for integrated learning from this brilliant YouTube series by Mirza Yawar Baig. I highly recommend you watch it and get some ideas from it too. Integrated learning is defined as a method of education in which students study across multiple subjects without separating them into subjects. This would usually mean focusing on a theme and discussing everything related to that theme. Example 1: We sat together to read the biography of Ibn Khadlun. What subject would this fall under? Technically, his biography is equal parts history, science, social studies and Islamic studies. So we don’t call it any subject, and just focus on learning lessons from it. 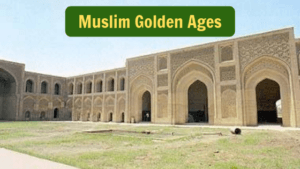 During the study on his biography, we discussed the Islamic Golden Age, the countries he lived in, his theories on societies and economics, the state of the Muslim world at his time, the state of the Muslim world today, the importance of reading, and even a few lessons regarding friendship and jealousy. Example 2: We looked at a map of Asia and the children pointed to different countries and asked questions about them. During that one hour, we ended up discussing World War I and II, the fall of the Ottoman Empire, the immigration laws of various Asian countries, the populations of some of these countries, the different government systems that exist in Asia, the major religions of Asia, and which major companies are based in Asia. Result: Integrated learning is now a standard part of my homeschooling system. At least 3 days a week we have an hour allocated to learning in this method. We will either look at a person, a place or a theme, and discuss everything related to it without trying to box the topics into subjects. One interesting result I found is that my children have a very strong retention of the information discussed during these sessions. In reality, this happens everyday for many of us. Yet for some reason we don’t look at it as a genuine way to educate children. I have actually merged this with integrated learning and unschooling, and they all flow together during class time. 1. Adults take the discussion seriously. 2. Adults do not dumb down the topic or the vocabulary related to the topic. 3. They talk to the children casually, and not in a authoritative voice. This method might not work if the child feels they are not being taken seriously. Or that the adult thinks they are dumb, or if it feels like a lecture. It needs to have a casual conversation vibe to it, it must be organic conversation. It cannot be forced. Example: One of my children asked me about what mazhabs are. We had a long detailed conversation in which he discussed the biographies of the 4 Imams, why people love them, the importance of Fiqh and following scholars, as well as the two extremes people go to in this area. We also discussed why there are different opinions in Islam, the importance of respecting these opinions, and how this differences are actually a mercy for us. All of this would have went over their head if I had lectured them, not taken the topic seriously or tried to dumb it down. They appreciated getting the full picture, and learned many lessons from this discussion. Result: Even if your children go to school, make time to have genuine discussions with them after school about topics that are important to them. This is one of the most important sources of learning for any child. When I first heard about unschooling, I dismissed it. It seemed like too radical a concept. For those who don’t know, unschooling means leaving children to learn on their own what they want when they want. I’m sure anybody introduced to unschooling for the first time might roll their eyes at it. But then I read many stories of successfully unschooled individuals, and decided it what worth experimenting with. So began unschooling Friday. From Mondays to Thursdays, our homeschool is heavily scheduled. We have time for English, Maths, Integrated Learning, Art, Reading, Quran, Surahs, Arabic and Islamic Studies. Fridays however are a free for all. I didn’t tell the children that Friday is for unschooling. I simply said that Friday is a casual day and you can learn whatever you want. Then I sit back, take notes, and observe the magic of unschooling in action. I walk into the class and found the children divided into two groups. Both groups were taking turn drawing on tablets with their s-pens. They were immersed in their digital art, so I didn’t interfere. After a while, one child drifted off to read a book. Then another, then another. They all chose books in different fields. One was reading a science book, another a leadership book meant for adults, and the third was reading hadiths about Dajjal. While they were reading, they kept taking breaks to show each other something interesting they read, and to discuss it. Again I just sat back and observed. Then my ten year old decided to take out his ‘introduction to programming’ book, open up his programming software on the PC and teach himself to make a video game. He was immersed in the computer for over an hour, experimenting, following the instructions in the book, and learning the terms. After a while, he gave his brothers a turn at it too. They all took turns learning how to program, even my seven year old. A good two hours went like this. In the meanwhile, one of the children came to ask me about Spain. So began a casual discussion about Spain: its geography, history, the Islamic Golden Age, famous scholars, how Muslims lost it, and the current state of Spain. So the children were now divided into two groups: one group teaching themselves how to code on the PC, while the others were learning everything they could about Spain. And that is how our day ended. Result: Maybe there is something to unschooling after all. Children seem to learn a lot more in a morning of self-directed learning than in an entire week of structured curriculum. This is where my idea for a self-directed learning center was born. But that is a topic for another time. 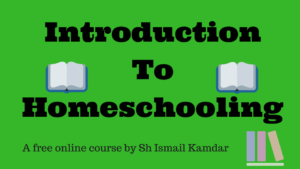 If you want to learn more about homeschooling, join our free online course by clicking here.